Interested in learning more about how you can utilize your business degree to land a career in the sports industry? 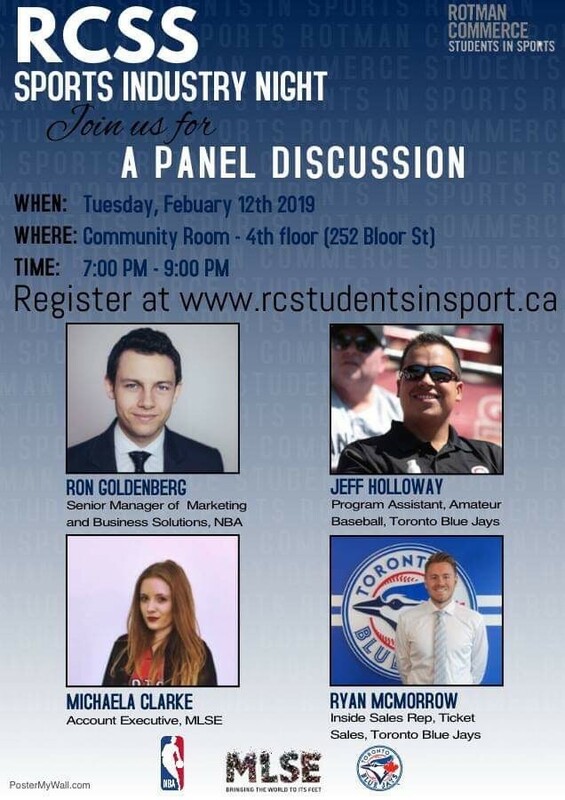 Join the Rotman Commerce Students in Sports as they host a panel of industry experts from the NBA, Maple Leaf Sports and Entertainment and the Toronto Blue Jays! Students will also have an opportunity to network with the panelists. No spaces remaining or registration is closed.